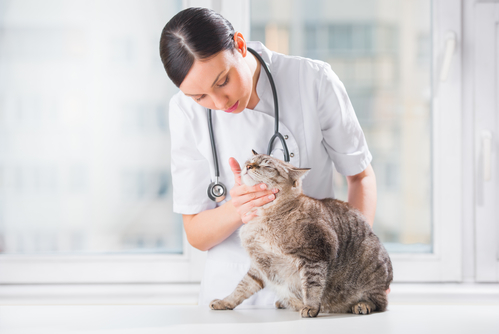 One of the best ways to look after your pet’s health is to schedule regular pet exams. According to Perry Animal Hospital in Georgia, adult animals should see a veterinarian at least once a year. However, puppies, kittens, and older pets will often need to visit their vet more frequently. This will help to catch any possible health concerns and treat them before they become serious. To Create A Healthy Baseline: When pet owners take their pet to see a veterinarian from the first time they bring them home, this allows the vet to get a baseline of the cat or dog’s health. Doing this allows them to quickly catch changes in the animal’s health as they age. This is important because pets age faster than humans and can experience significant health changes in a short time span. To Receive Counseling: The best way for pet owners to learn the optimal approach for keeping their pet in good health is to meet with a veterinarian. At their pet’s yearly checkup, the vet can make suggestions to help with any behavioral or nutritional issues the animal might be experiencing. This could include a change in eating or drinking habits, weight, and, daily routine. To Receive Vaccinations Or Medication: As pets grow, they will need to have one or two vaccinations administered to protect their health. Depending on their lifestyle, they might also require medication, such as heartworm pills. To Maintain Dental Health: If a pet’s teeth and gums are not properly looked after, it could result in numerous health conditions. As many pet owners are unable to keep their pets’ teeth cleaned every day, a pet exam is important to catch any dental problems before they escalate. When it is time to for your pet to see a veterinarian, schedule their yearly pet exam at Perry Animal Hospital by calling (478) 224-7387. You can learn more about their services by visiting them online or following them on Facebook.